ENGINE The TE 250i features a pioneering electronic fuel injection system. This comprises of a set of fuel injectors positioned at the transfer ports which deliver the ideal amount of fuel to the engine in every condition. 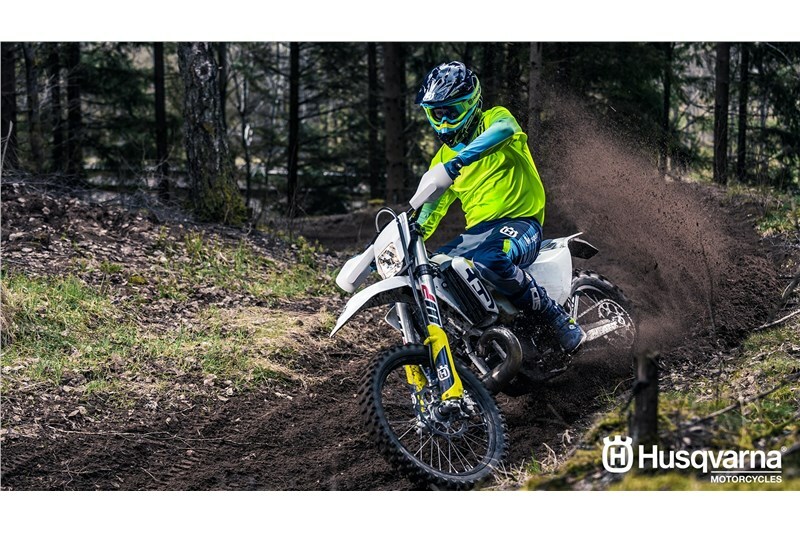 This not only reduces fuel consumption and emissions but also delivers a clean & smoother power delivery giving the loved 2-stroke a new edge. CYLINDER The cylinder design includes two inlet positions located on the transfer ports at the rear of the cylinder where a pair fuel injectors are mounted. The injectors deliver fuel downwards into the transfer port guaranteeing excellent atomisation with the air travelling upward to the combustion chamber. This ensures efficient combustion resulting in low fuel consumption and emissions. 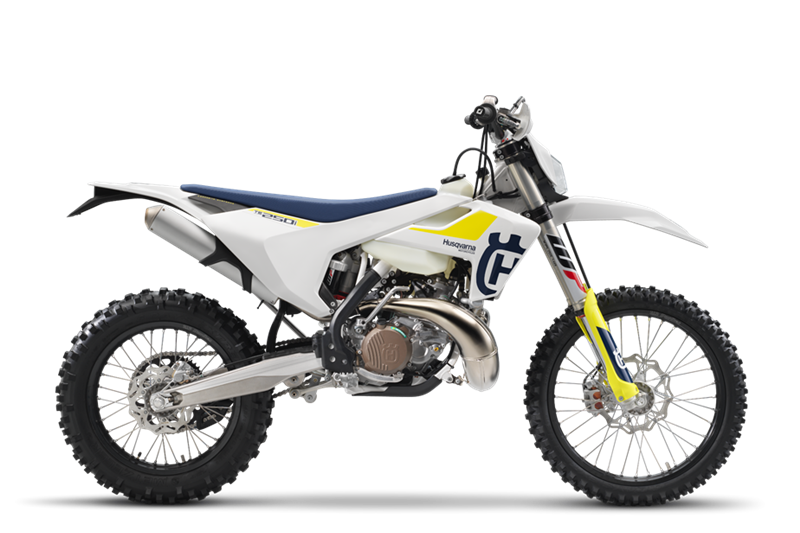 OIL TANK & PUMP The TE 250i features an electronic oil pump which feeds vital 2-stroke oil into the engine . The pump is located just below the oil tank and feeds the oil via the throttle body meaning the oil is not mixed with the fuel eliminating the need for pre-mixing as on traditional 2-stroke engines. The pump is controlled by the EMS and delivers the optimal amount of oil according to the current RPM and engine load reducing waste as well as excessive smoke being transmitted from the exhaust. The oil tank is located beneath the fuel tank and is connected to a filler hose which runs through the upper tube of the frame to a filler cap conveniently located for easy refills. The tank capacity is 0.7 l and is connected to a low level sensor which illuminates notifying the rider when the tank needs refilling. THROTTLE BODY The TE 250i uses a 39 mm throttle body which regulates the amount of air entering the engine via a butterfly operated by dual throttle cables connected to a new handlebar throttle assembly. Unlike 4-stroke throttle bodies, fuel is not introduced at this point but rather 2-stroke oil is mixed with the air entering the engine to lubricate the crankshaft, cylinder & piston.Additionally, a throttle position sensor (TPS) relays airflow data to the ECU which in turn calculates the amount of oil and fuel delivered to the engine while a bypass screw regulates the idling speed and a cold start device opens a bypass providing more air for cold starts. CHROMOLY STEEL FRAME The hydro-formed, laser-cut and robot-welded frame is expertly crafted by WP Performance Systems. The flex character of the frame is specifically tailored to benefit suspension functionality, handling and comfort. while the upper frame tube integrates the oil filler cap and houses a hose which runs down its length to the oil tank for easy access and simple oil filling. The frame fitted with standard frame protectors and an engine protector which mounts directly to the frame guaranteeing superior protection and durability. 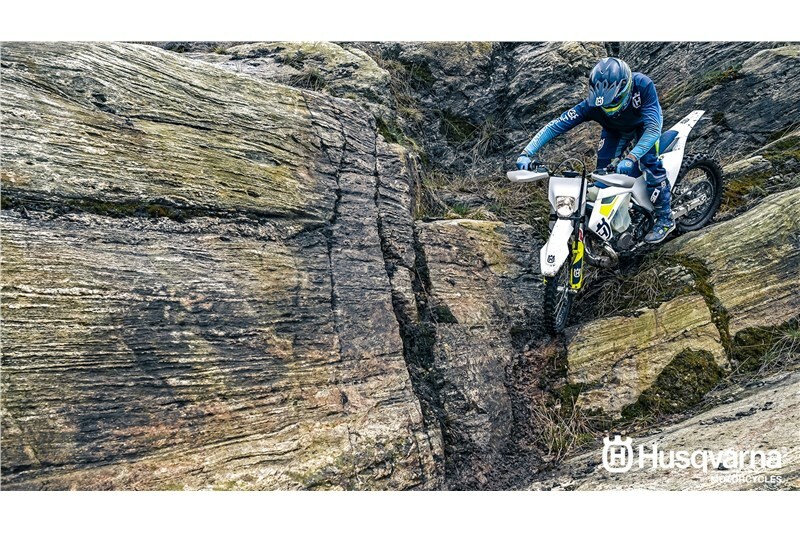 COMPOSITE CARBON FIBRE SUBRAME The composite subframe is a design unique to Husqvarna showcasing pioneering technologies and innovation. This 3 piece component is made up of 30% carbon fiber making it remarkably light (3.1 lbs). Specific care is taken to engineer a calculated rigidity for optimal handling and rider ergonomics. ELECTRIC AND KICK START The TE 250i is fitted with an electric starter neatly tucked away below the engine casings. The system is powered by a lightweight and powerful Li-Ion battery which is 1 kg lighter than conventional lead battery. A standard kick starter is fitted for added peace of mind. MAP SELECT SWITCH The engine characteristics can be tailored thanks to the standard map switch that modifies the power delivery according to rider preference, conditions and terrain.